If you want to rent a workshop space, then you definitely need an environment that promotes creativity. This is exactly what you will find when you rent this workshop space in Berlin. It is characterized by warm colors, lots of pleasant wood and plenty of natural light through high windows. It also has an elegant stucco ceiling, which offers many opportunities for activities at 3.80 m altitude. On the walls, there are gallery rails, which are equipped with different works of art. Therefore, you can rent out that space not only for quiet brainstorming but also, for example, to carry out design thinking and other creative methods. Most of the room's equipment is available to you for free. These include whiteboards as well as all kitchen utensils. You also have access to the in-house high-speed Wi-Fi. Equipment such as a projector with a screen or a presentation case is available for a small additional charge. The same applies to the catering of your guests. If you want to ensure some catering services before the meeting, you are able to do that within just a few mouse clicks. 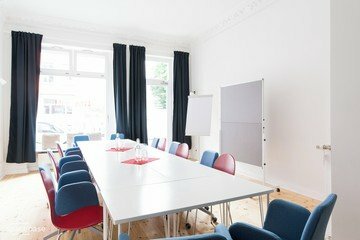 These meeting rooms are located in a central yet quiet location in Berlin-Mitte, as the street noise is not noticeable within the premises. 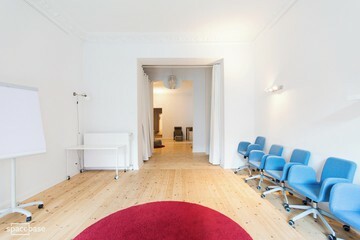 It is also a walking distance away from Schwartzkopffstraße and easily reached by public transport. There is also free parking on the street. 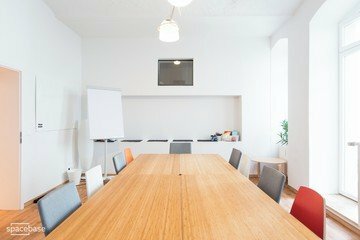 This space is perfect for workshops for bigger groups since the location offers both – a large room for the whole company and few smaller rooms for individual work. 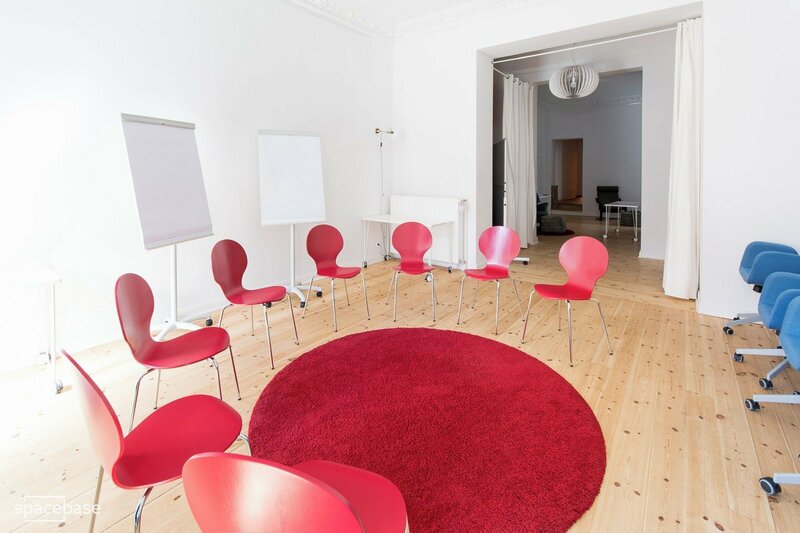 Participants can split up in different rooms and work on their tasks undisturbed! 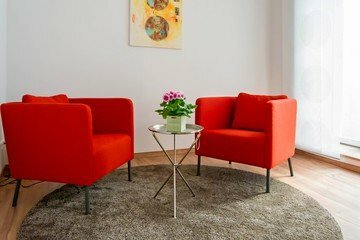 The bright location has very comfortable furniture and is centrally located – only few steps from the train station.